Whether you're going for a sophisticated, modern vibe or a homey, rustic appeal, industrial pipe shelves can be one way to accomplish both of these desired looks. 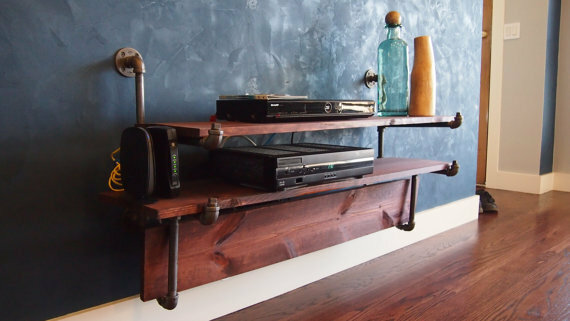 Many people decide to build their own industrial pipe shelves that incorporate these aesthetic features for a variety of reasons. 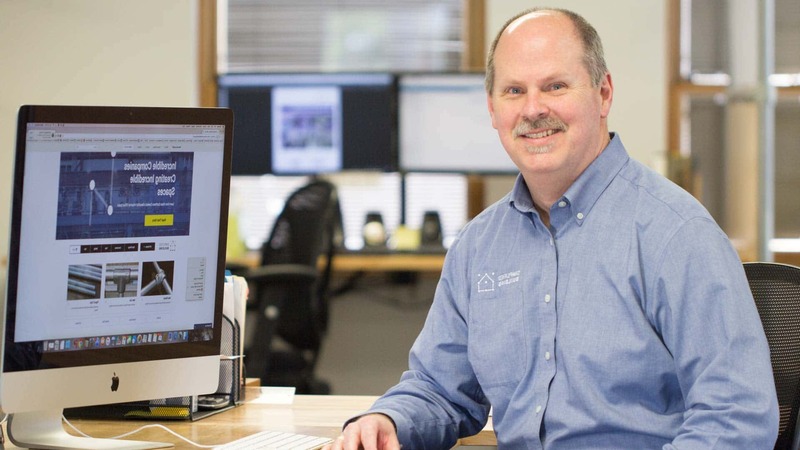 To save on costs, flexibility, personal design, and even for fun! Building your own shelf can ensure you have something that is personal, unique, and matches the looks you're going for. 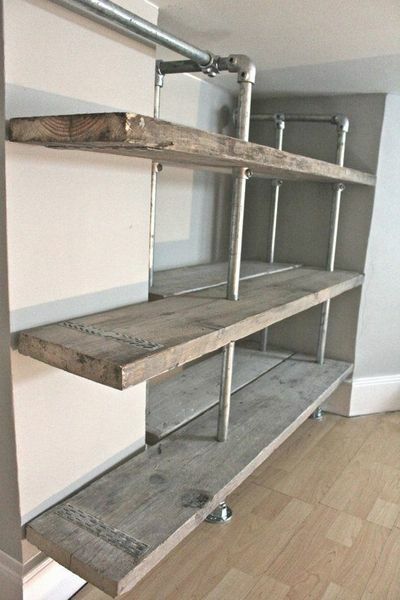 If you're looking to create a rustic look in your home this shelving unit works perfectly! 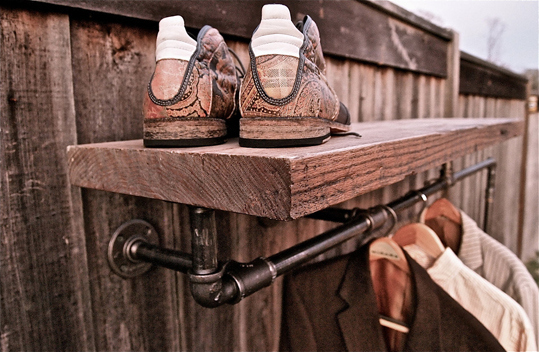 The dark wood, tarnished pipe, and fittings create an industrial look that is a key component of the rustic appeal. 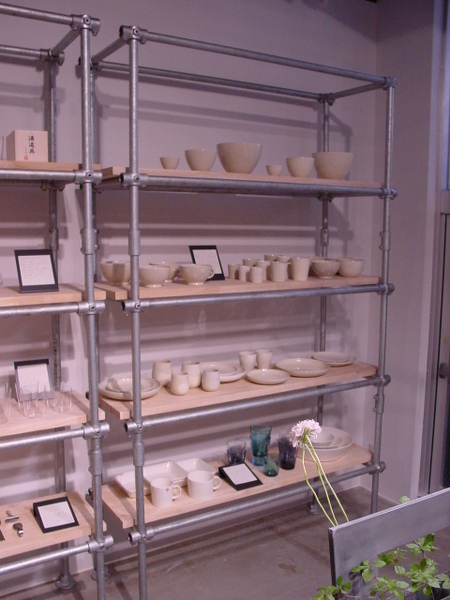 This three-tiered shelf was designed as a retail display. 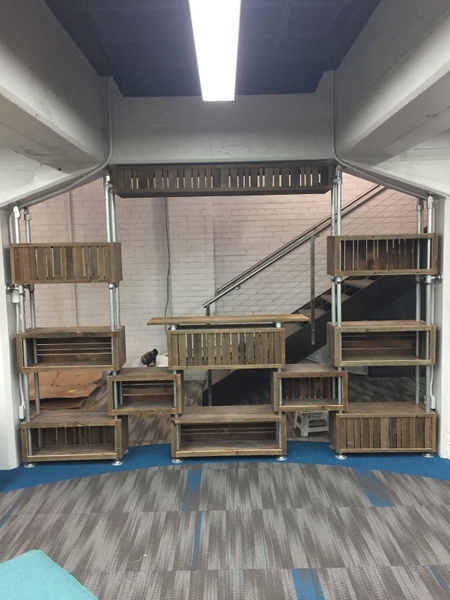 The reclaimed lumber is supported by four columns on the bottom shelf and then two columns on the top shelf. The above design was built with a $200 budget! This DIY workbench/storage shelf can work well in a variety of places including garage storage, in the living room to place home decor, or in the bathroom for towels and toiletries. This design was built as a wall mounted store display. 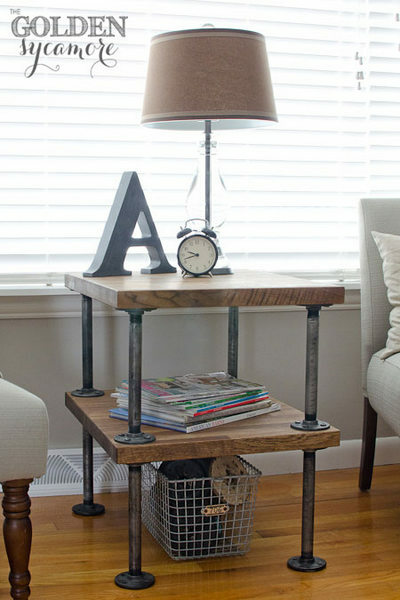 It could also function well in creating a rustic look in your home. 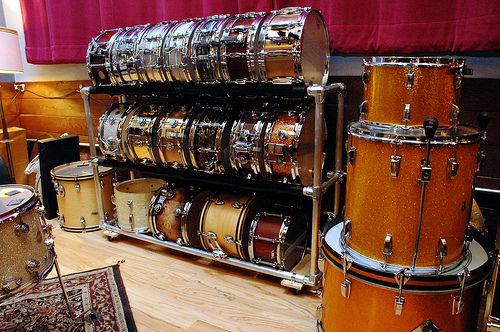 A lot of drummers and even recording studios tend to have multiple drum sets or pieces. This is especially true of snare drums. This storage rack keeps everything neat and easy to find. This DIY shelf is built from reclaimed wood from an old bookshelf. 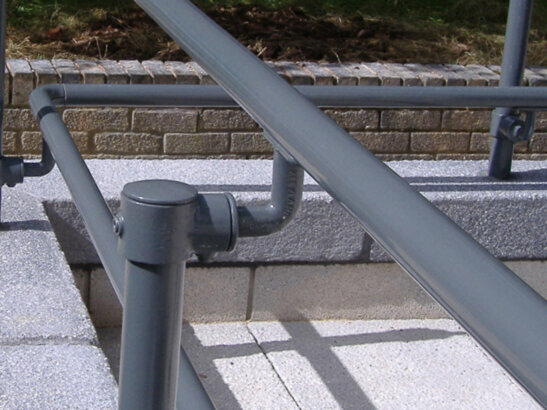 The levels are created using Kee Klamp fittings and pipe. 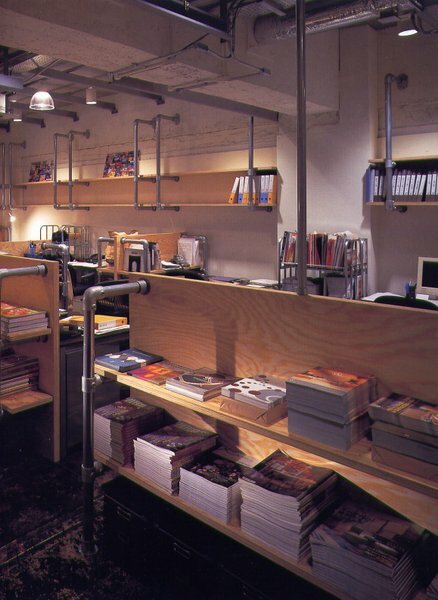 The pipe goes straight through the wood shelves creating a clean, uniform look. If you're anything like my father, then you know how frustrated you can get when you can't find something in the garage. A lot of F-bombs can be heard in the garage at my house because of this very reason. 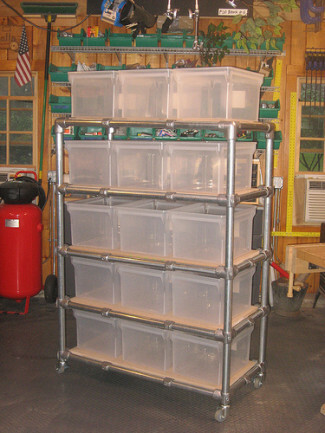 This shelving unit keeps everything organized and easy to get to when working out in the garage. Avoid the frustration. 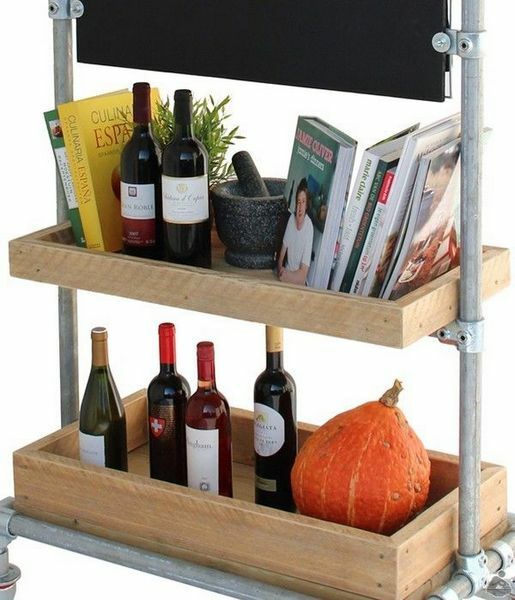 Another DIY shelf idea to add to your garage. 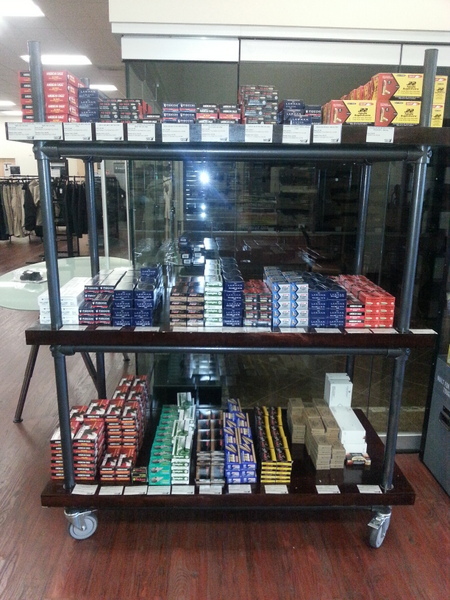 This particular shelf is used by one of our customers for reloading his custom competition rifle. This unique design has varying levels including some that swivel in different directions. 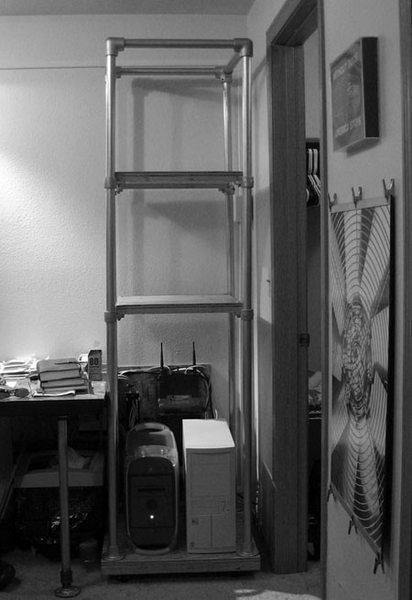 The shelf is used to save space in a small studio. The flexibility and adjustability of Kee Klamp allowed this customer to create a unique custom built design that could not be built with other materials. 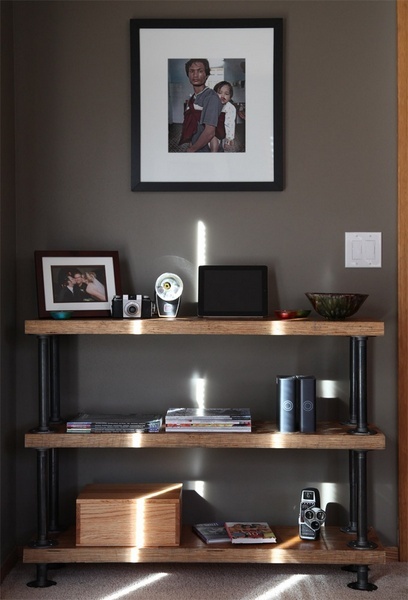 This shelf creates a modern design from the pipe fittings and glass shelves. Used to store books in a quaint, New York City apartment. 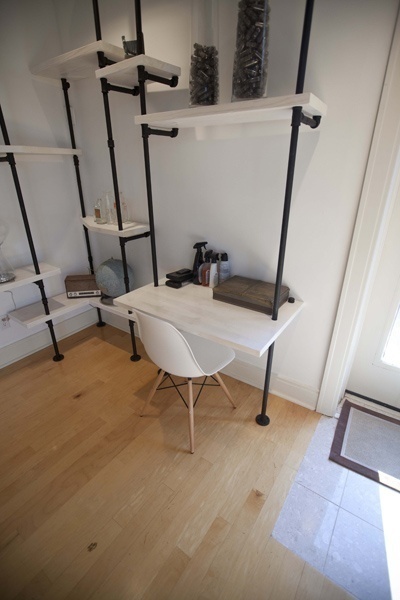 The customer also built a desk with the same materials to complete the look within the apartment. In an effort to give their workplace an industrial style, Esquire in Japan, outfitted their entire office with Kee Klamp fittings and pipe. 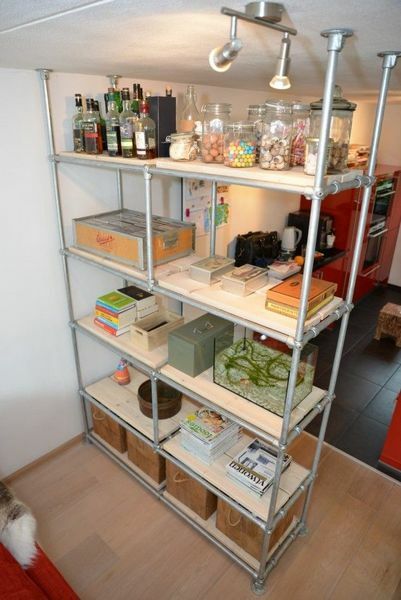 Of which these free-standing shelving units were built to give the space a strong, stable, and unifying look. 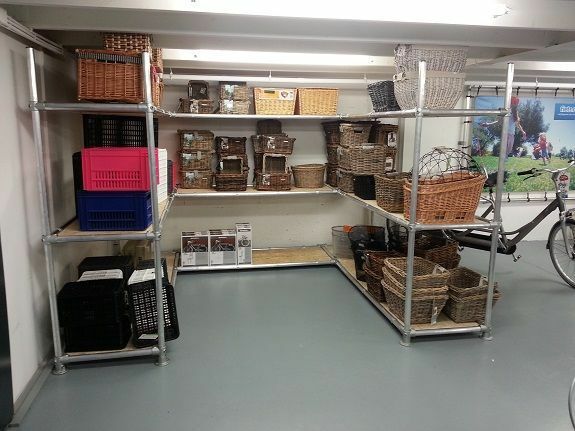 Here's another shelving unit that is used as a retail display. 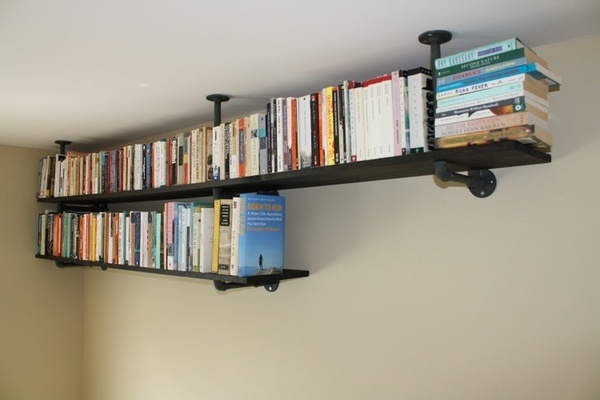 The black shelves along with the silver pipe and fittings creates a modern, sleek look. Finding a shelf that will fit nicely into a corner of the room can sometimes be a difficult task. 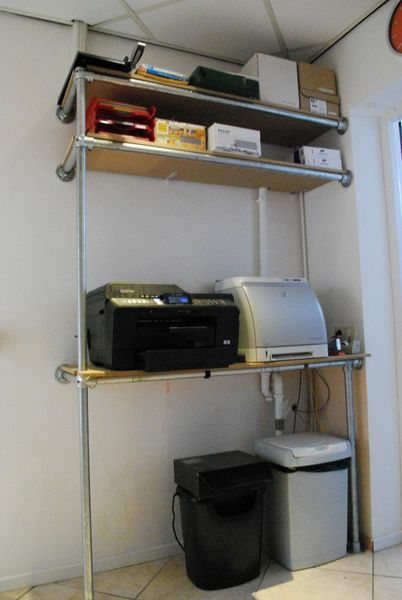 One of our customers decided to construct her own industrial pipe shelf to take advantage of her extra corner space. 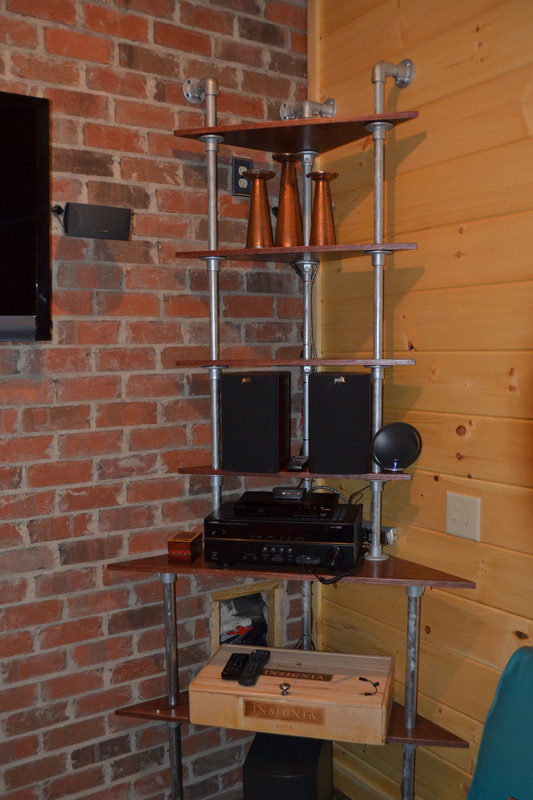 The finished result works perfect and the industrial pipe pairs well with the wood paneling. Here's another wall mounted corner shelf, this one has been used to hold the sound system. It stands out nicely from the brick and wood walls on either side. The dark wood finish along with the black pipe featured in this gorgeous rustic shelving unit create a "warm", welcoming vibe in the room. The integration of the extended shelf to create a built in desk is a great addition that makes this unit even more functional and convenient. You can read all about the project here. 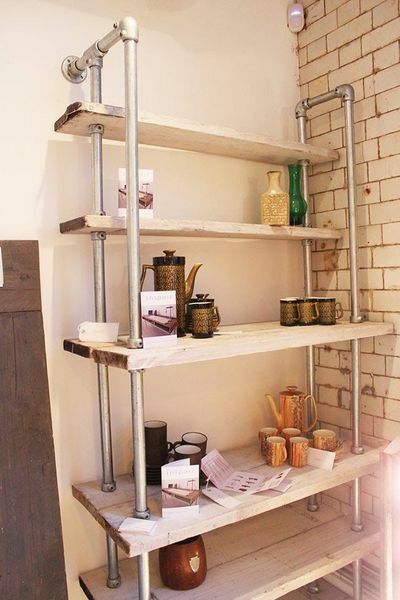 This DIY shelf is built with reclaimed scaffolding boards, steel pipe, and pipe fittings. Its design gives the room a rustic, vintage look that creates an appealing aesthetic. Clean, simple, and elegant. This shelf reminds me of the ocean or the beach because of the off white colors emphasized from the shelf boards and surrounding walls. 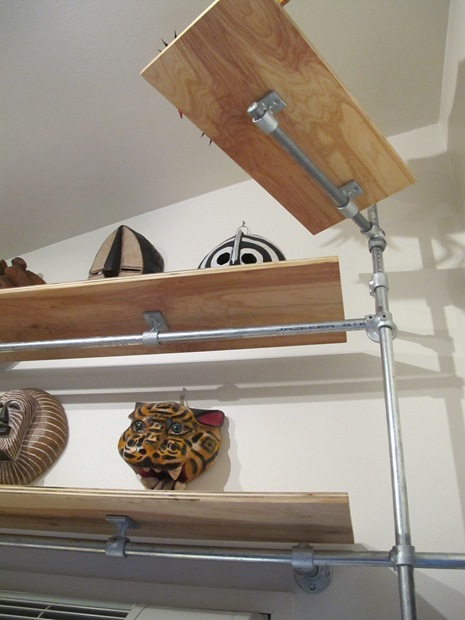 The shelf is mounted to the wall using Kee Klamp flanges. 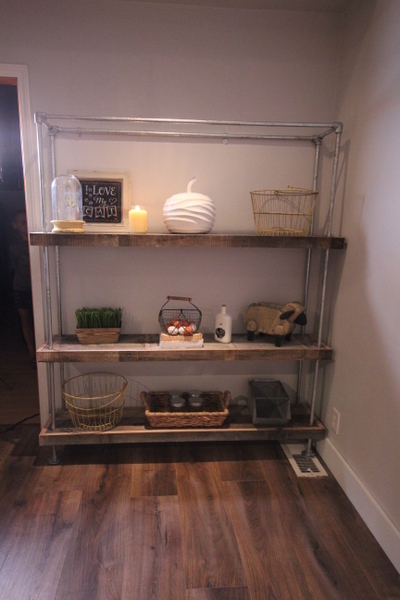 This shelving unit screams rustic! A perfect companion to the traditional closet or even open closet. The top stores your shoes and the clothing rack made from black fittings and pipe keeps all your clothes nice and tidy. Is it a coat rack or a shelf? It's a bit of both. 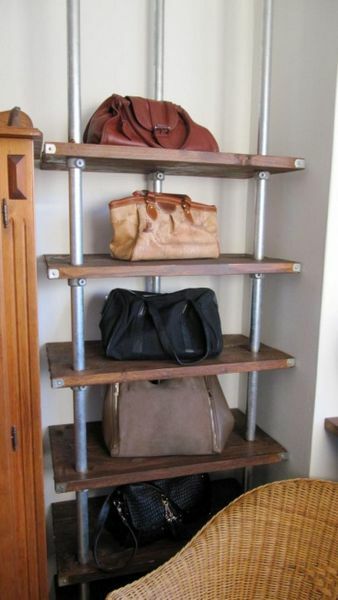 The top shelf can hold your gloves, scarves, or store shoes while the the rack holds your jackets. Here's a shelving unit that would be perfect for a kitchen or even in a restaurant. It has casters on the bottom to ensure it can be easily moved around. It can be used to hold a variety of your knick knacks. If you do decide to use it in your kitchen it would be perfect to hold spices, utensils, and other kitchen supplies. This shelving unit encompasses the entire corner in this all white room. A bit obsessively clean :) but it adds to the contemporary vibe of the room. It features multiple levels and doubles as a piece of art. 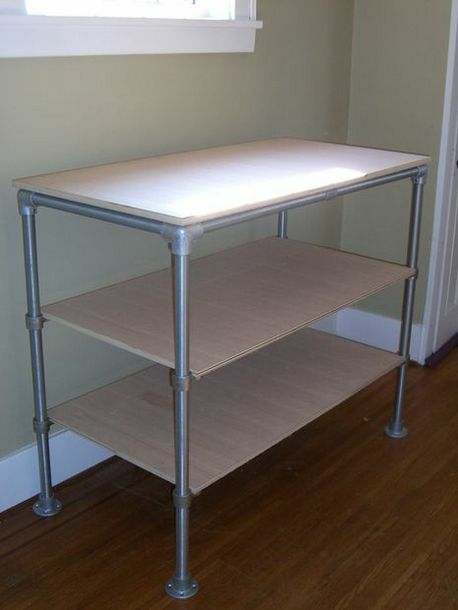 This handy shelving unit functions both as a workbench and storage unit. 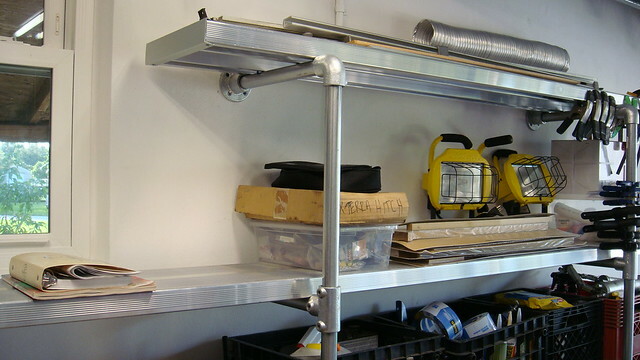 The shelf is built with Kee Klamp fittings and pipe. 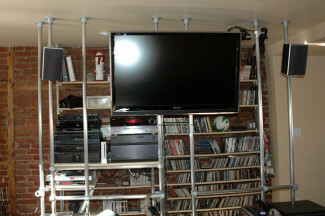 The addition of the hooks increases functionality and can be found here. A shelving unit so strong that you can stand on one of the shelves and it won't even budge. You can read all about the build here. The great thing about using pipe fittings is that they can be taken apart and put back together to build almost anything. That's exactly what happened with this shelf. 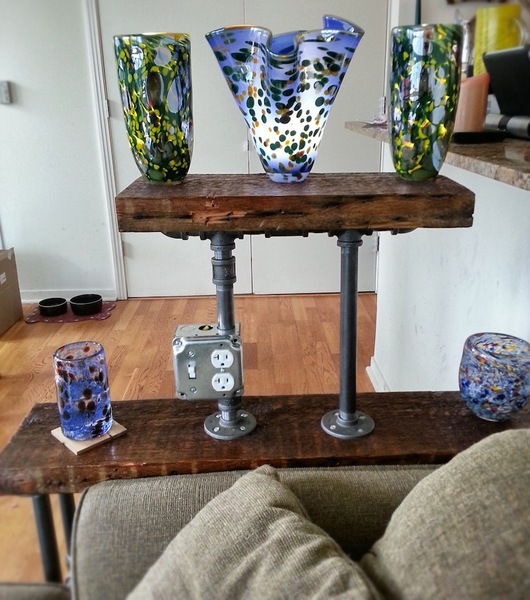 Described as "Pipe Shelf Remix" this DIY shelf was deconstructed from a previous pipe shelf into this beautiful unit. 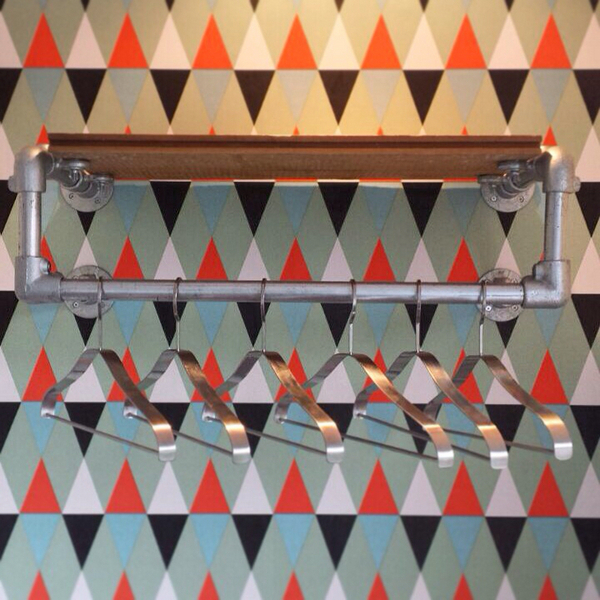 The hooks on this DIY shelf make it perfect for hanging room decor. Industrial pipe hooks just like the ones on this shelf can be found here. 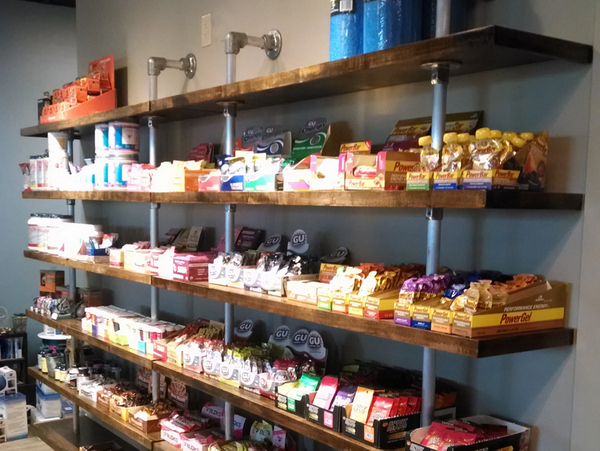 These open shelves were built using 1/2'' plumbing pipe and wood boards. They look great and add to the rustic, industrial look of the kitchen. Alternatively, this unit could have been built using Kee Klamp fittings and pipe to avoid the hassle of using threaded pipe. The pipe on this shelf goes straight through each board giving it a uniform look. It was built using Kee Klamp fittings and pipe making for an easy DIY project because of their simplicity, ease of use, and adjustability. Featured on HGTV's website, this shelf creates a rustic look in this couple's 375-square-foot Lower East Side apartment in New York City. I'm sure they appreciate the storage and space saving qualities of this shelving unit! 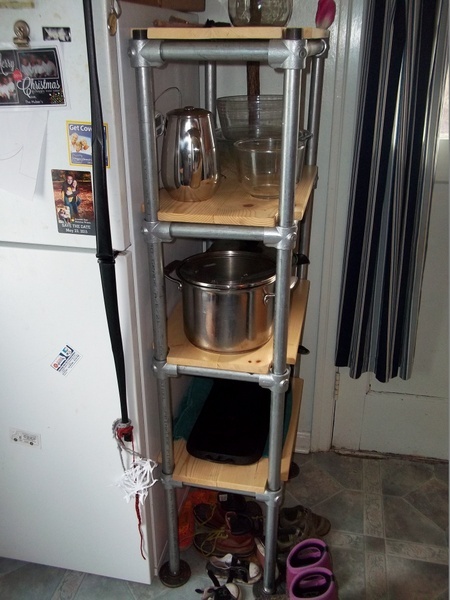 This DIY shelf is used in a small pantry. The couple who built it loves the open and airy look it adds to the room. They were able to save on the cost by using long sections of pipe and running it straight through the boards rather than using smaller sections. You can read all about how they built this unit here. This shelf was built to perfectly divide these two rooms and add a lot of storage space thanks to the beautiful wooden boxes mounted to the pipe. 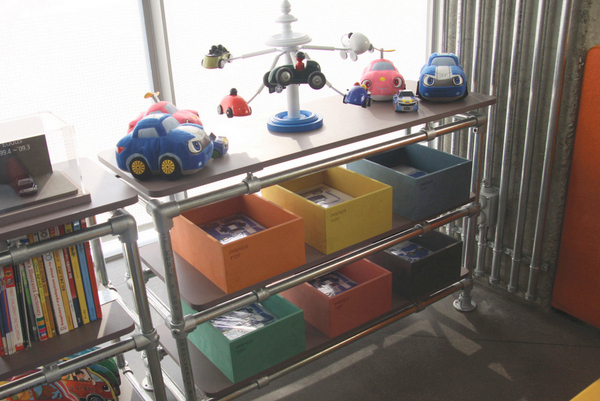 This shelving unit is used in a Hyundai Showroom in South Korea. Inside the showroom there is a children's play area for kids to go while their parents shop around for a new vehicle. 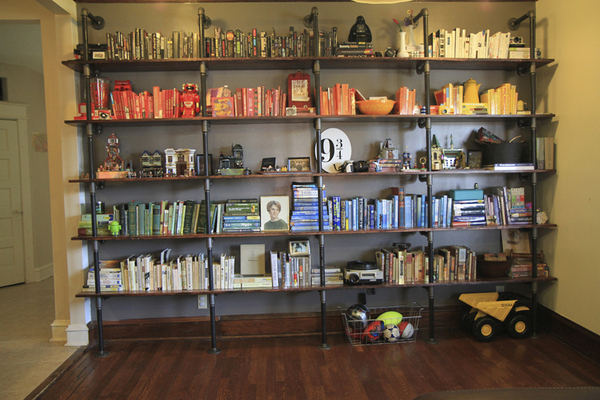 The playroom, as well as the entire showroom, features industrial pipe throughout. This shelf is no exception. It's clean and modern but fun and inviting for children. The color coordination in this shelf is great. It makes everything look very clean and organized. You don't need to be this obsessed with color coding your stuff but the pipe shelf does come in handy! 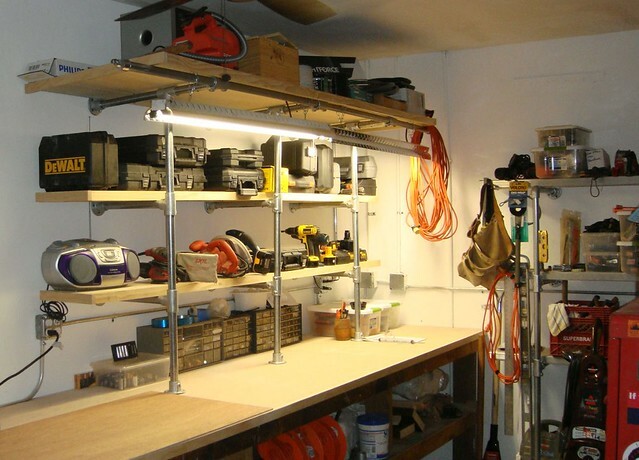 With this shelf you can keep all of your toys and gear in your garage nicely organized with these DIY garage shelves. 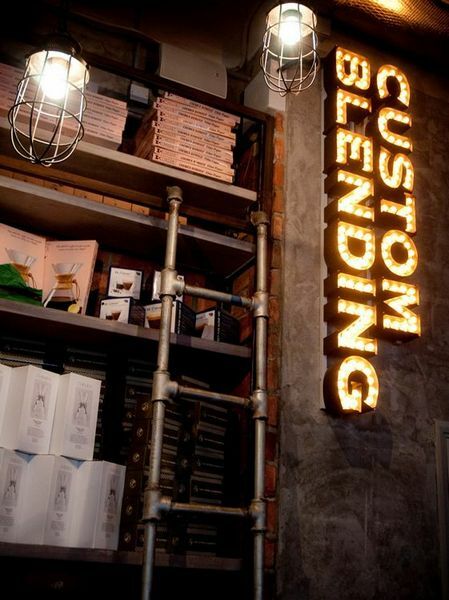 Pipe and fittings create the frame and use wood planks for these great looking industrial shelving units. Taking advantage of room space, this shelf is attached to the ceiling to allow for extra floor space. A great idea for any book lover! From ceiling to floor, this tall shelf takes full advantage of room space to provide for extra storage. 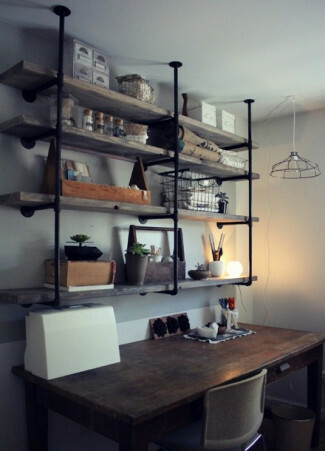 A great compliment to any home office, this shelving unit holds everything you need to get your work done. 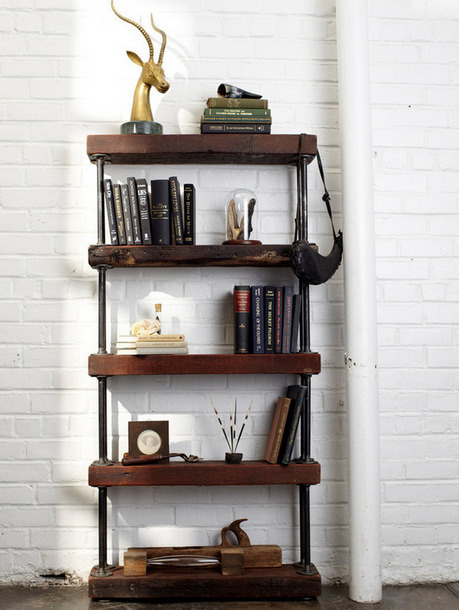 Mounted to the floor and wall, this shelving unit adds to the vintage appeal of this room. A vintage masterpiece, this shelf compliments the industrial look in this room well and goes perfectly with the brick walls. A great idea to hold toiletries or decor in your bathroom. 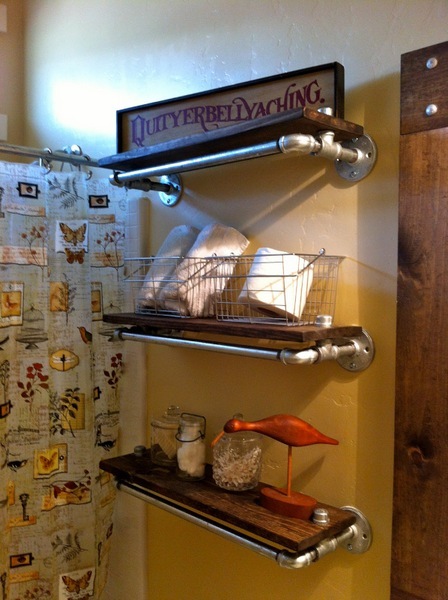 The look could be further continued by creating a shower curtain rod with industrial pipe. 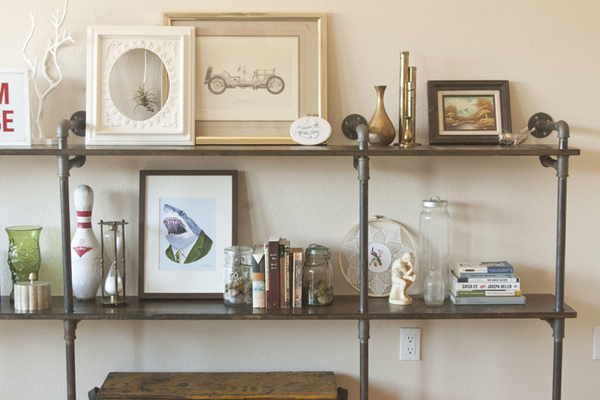 Learn how to build this DIY shelf here. 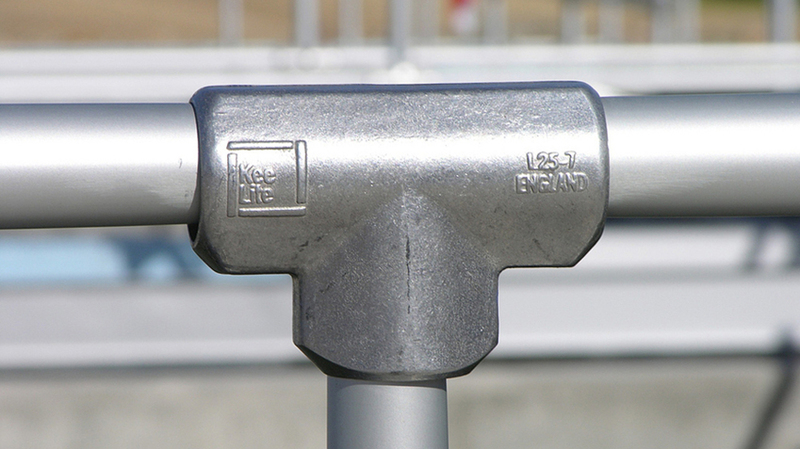 As an alternative to the plumber fittings and pipe, you could use Kee Klamp to avoid the hassle of using threaded pipe. 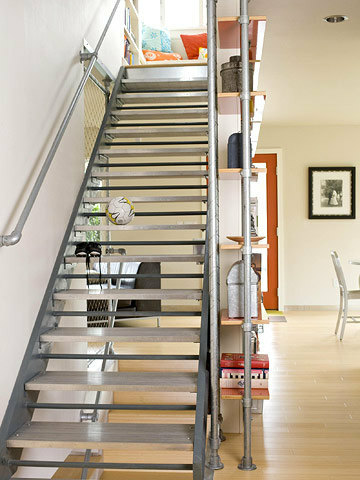 If you have a high shelf that is hard to get access to, why not add a ladder? 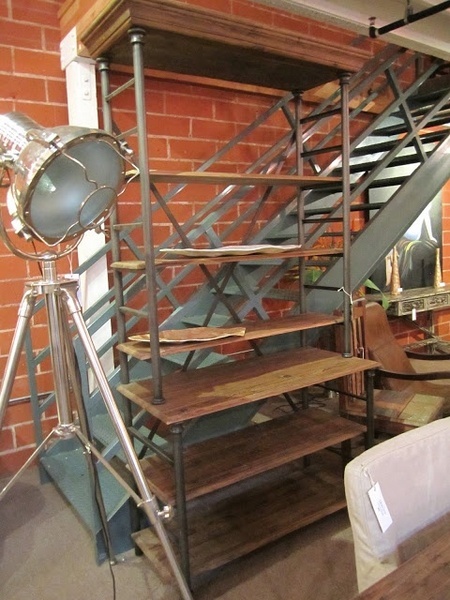 This shelf features a ladder made from industrial pipe to make reaching that upper space a breeze. 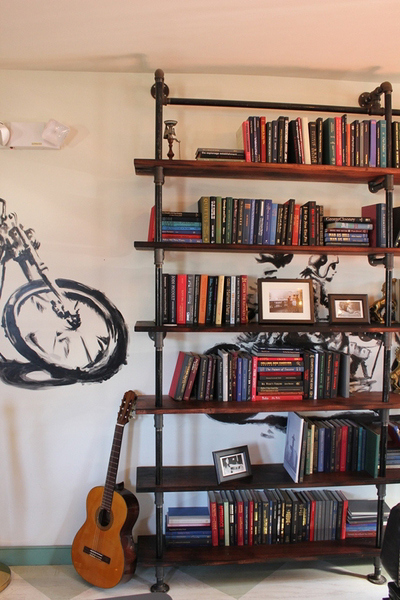 A bookshelf that would fit great in any bachelor pad or rustic space. 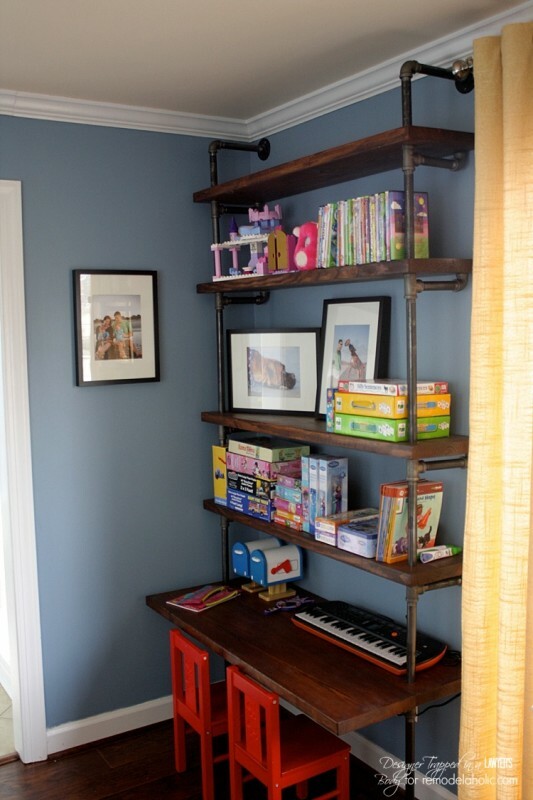 The darks wood shelves and black pipe pair well with the darker colors of the room. 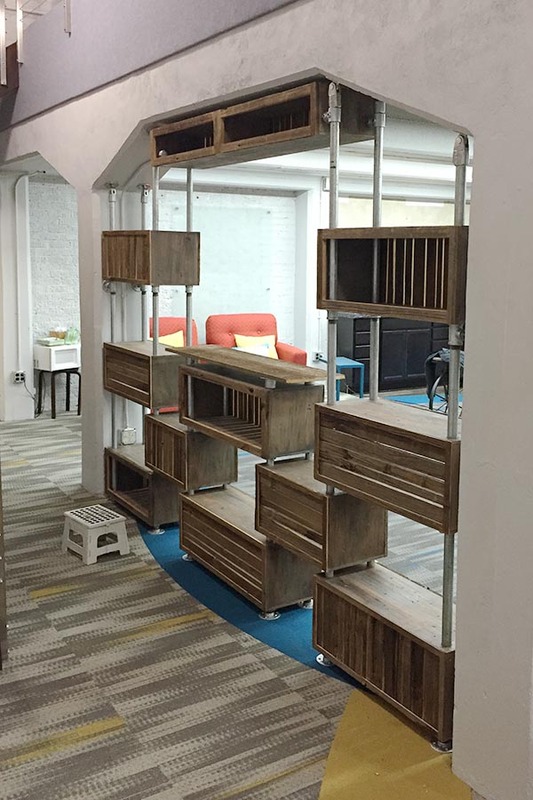 This shelving unit uses reclaimed wood shelves made from lumber found in an old factory in northern Indiana. The wood was power washed and then stained with polyurethane. The top board has three holes drilled into it which fit over three elbow joints. Read more about this project here. An aged beauty. This DIY shelving unit was put together for less than $300 (as vast difference from the $695 price tag of the shelf it was aiming to imitate). 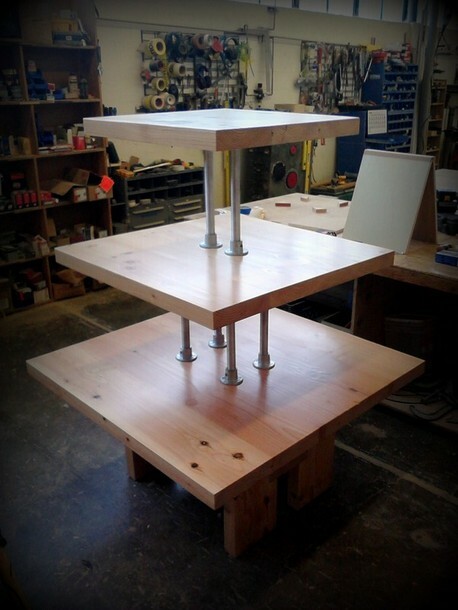 The shelves were made using IKEA's NUMERAR oak butcher block and the legs using galvanized pipe. 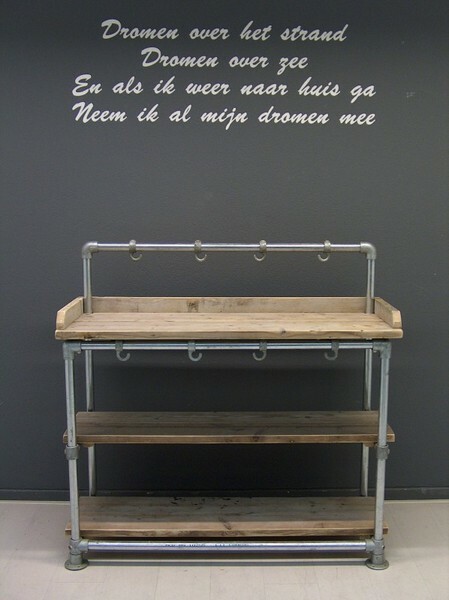 A multi-purpose shelving unit that surrounds a coat rack, this shelf adds a rustic vibe to the room. The cubbies keep items organized. 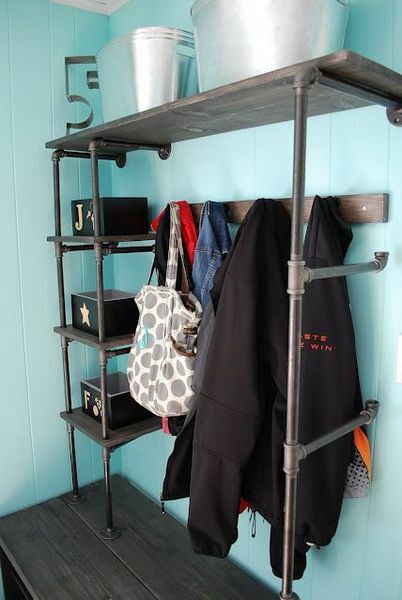 The industrial look could be enhanced by adding an industrial pipe coat rack. This shelf is incorporates a entertainment center design that adds a modern, rustic element to any home. The top shelf can hold your TV while the lower shelf can store your DVD player or gaming console. This particular shelf is colored with a red mahogany stain. This winding design adds a unique look and maximizes corner space where it can be impossible to fit furniture at times. 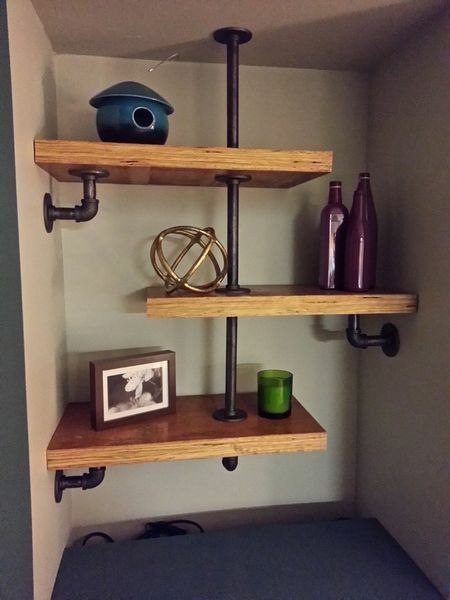 The shelf is built with threaded plumbing pipe. 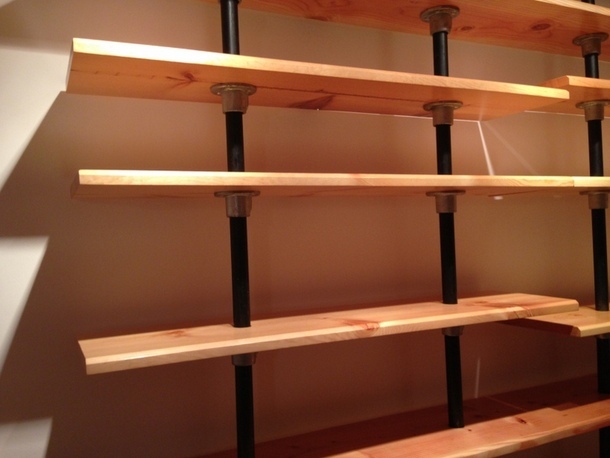 However, you can build this exact shelf with Kee Klamp and avoid the hassle of threaded pipe. Add this shelf to your home and it will be a sure fire conversation starter! 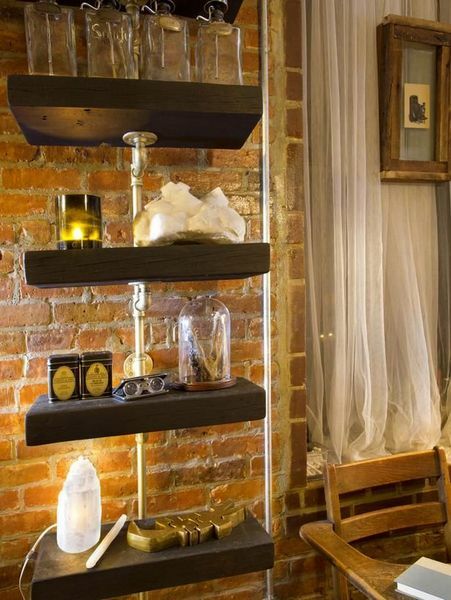 Another unique design, this shelf creates a "floating" look that gives it a clean, modern appeal. The wood shelves are made from Rigidlam Laminated Venner Lumber (L.V.L). You can learn how to build this exact shelf at Instructables. A modern bookcase to accompany a savvy staircase. 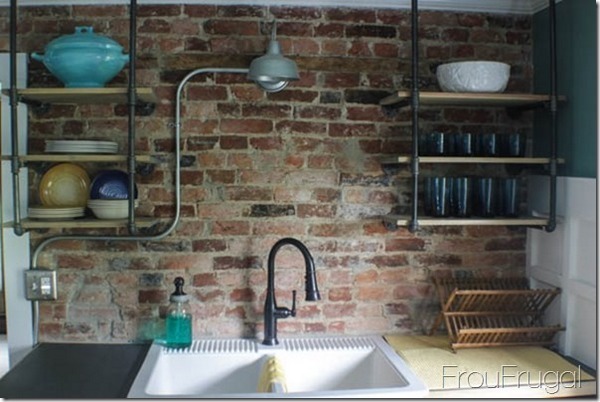 The industrial pipe look in this home gives it a contemporary, modern aesthetic. It pairs well with the open space and the industrial look is continued throughout the home. Made from Kee Klamp fittings and pipe, this shelving unit has a modern, clean look yet is reminiscent of a beach due to the colors emphasized on the shelf and within the room. That's a lot of shiny metal. 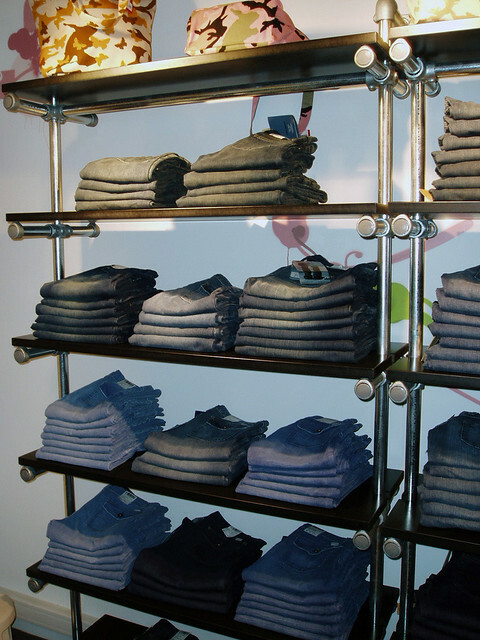 This store uses Kee Klamp fittings and pipe to create clothing display shelves to keep everything organized and give it an urban vibe. 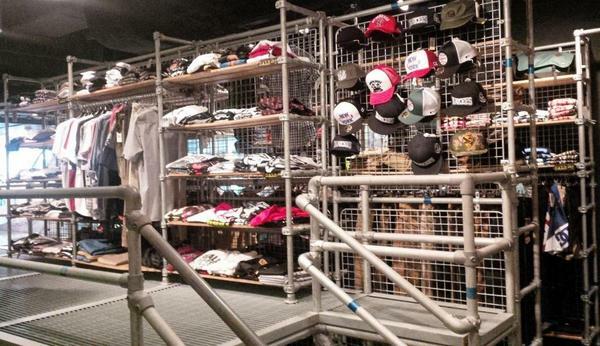 The industrial look is to continued throughout the store in the other clothing racks and stairway railing. 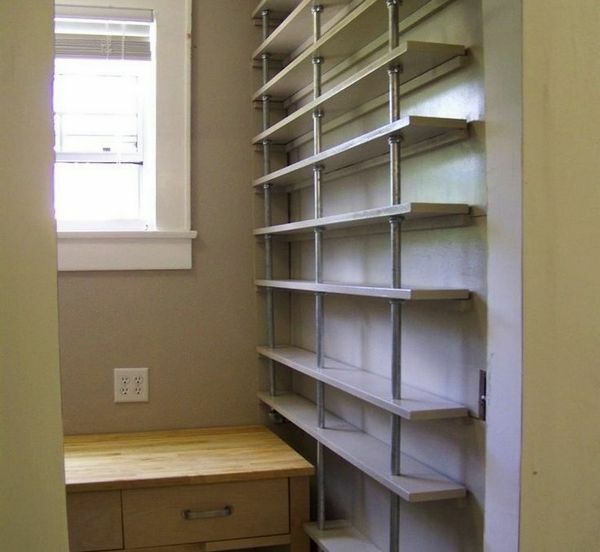 This shelving unit is used in a back room for storage purposes. Kee Klamp fittings allow you to build fully custom units like this that can support a ton of weight. Wow that's a lot of books! 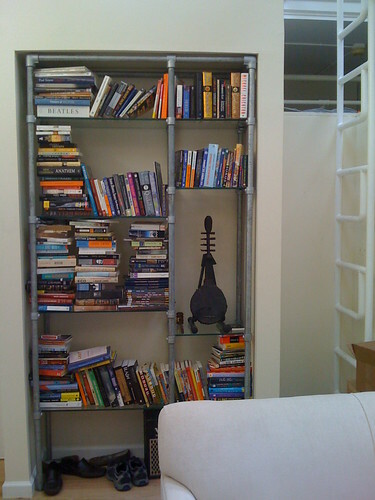 If you have a lot of great reads, organize them with an industrial pipe shelf. Remember, knowledge is power. Never stop learning. 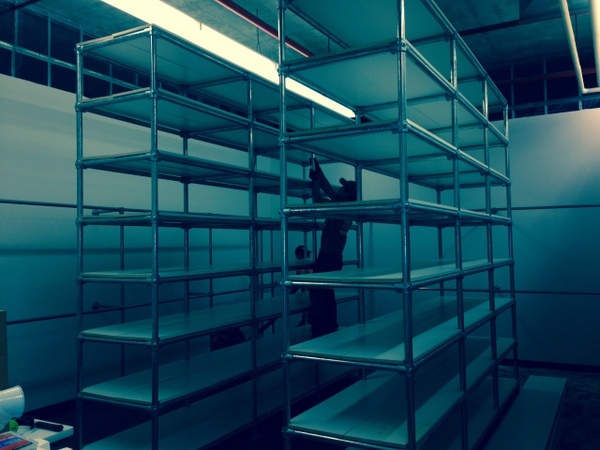 Another retail shelving unit to take advantage of Kee Klamp's simplicity and sturdiness. 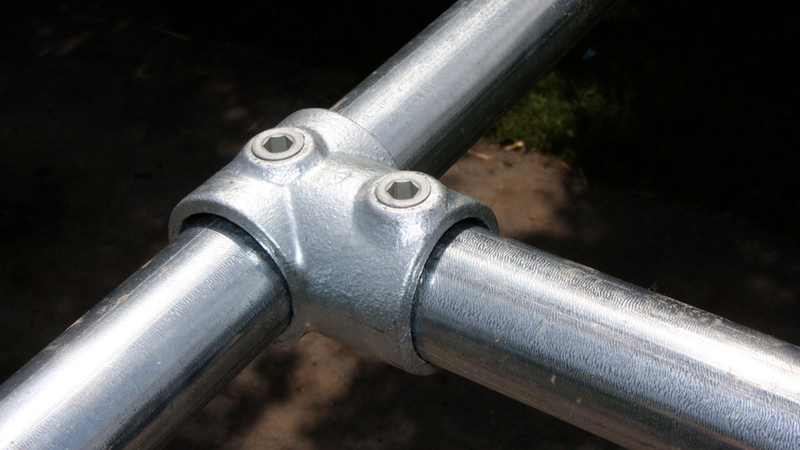 The casters allow the unit to be easily movable. 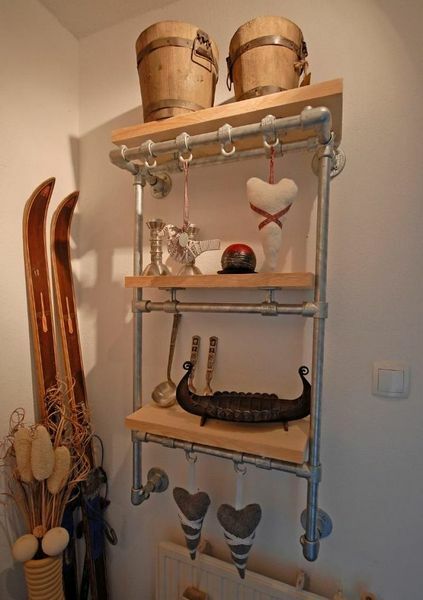 A fantastic piece of home decor, this shelf is decorative and functional. Used to place decorative items on, the unit pairs wells with the hardwood flooring. Got lots of pot and pans? Utilize your kitchen space to its full capacity by adding a DIY shelf like this one to keep your cookware neat and organized. This unique shelving unit creates multiple levels that give the shelves a "floating" appearance. 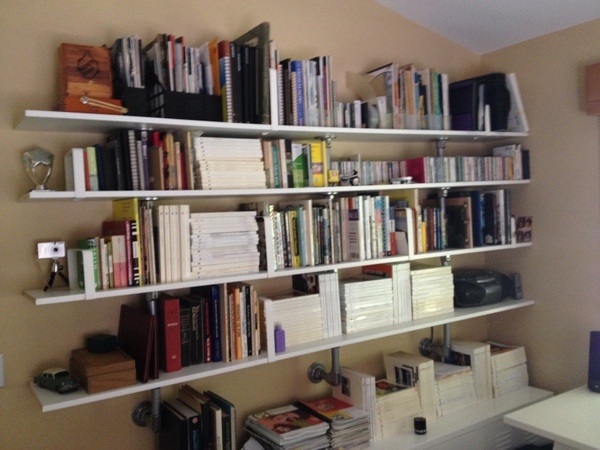 The flexibility and adjustability of Kee Klamp makes building a shelf like this possible. 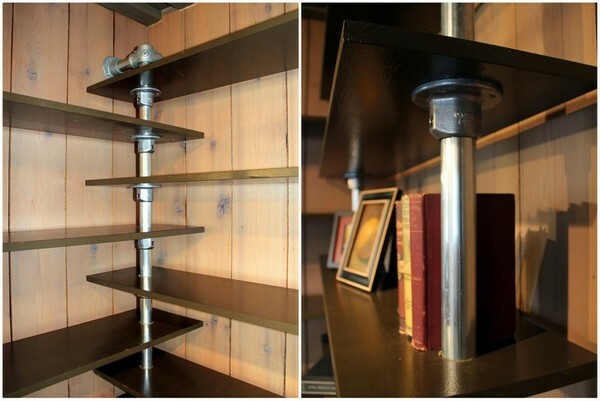 Kee Klamp fittings and pipe create the frame and supports for these bookshelves. They provide a functional purpose in supporting the shelves and accent the "warm" colors of the wood well. 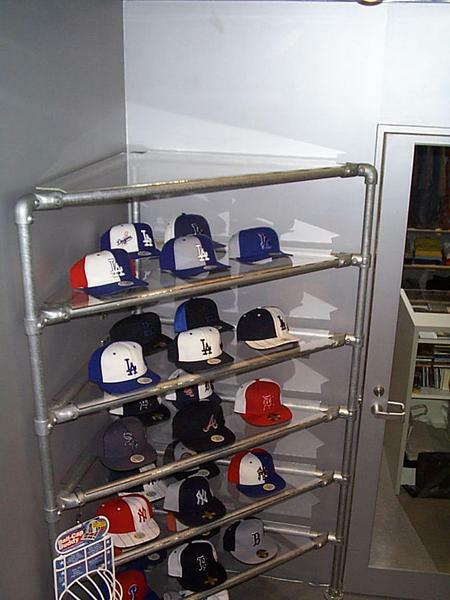 This shelving unit takes advantage of corner space and at the same time creates a unique way to display an assortment of fitted hats. 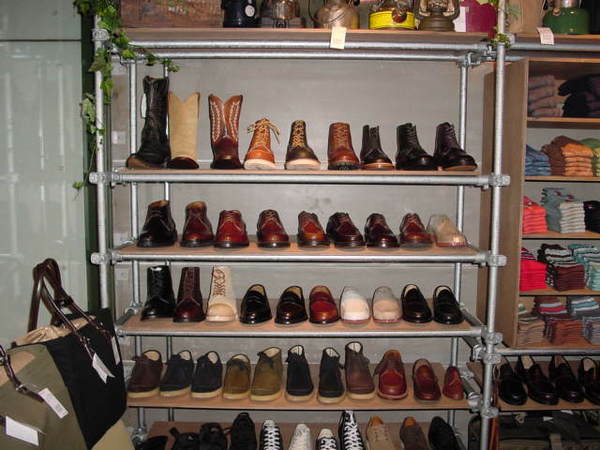 Used as a retail display, this shelving unit makes it easy for shoppers to browse for their pair of footwear. When designing or creating your own DIY shelf, Kee Klamp provides for a perfect solution. Kee Klamp fittings are easy to use, adjustable, super strong, and let's be honest, look fantastic! 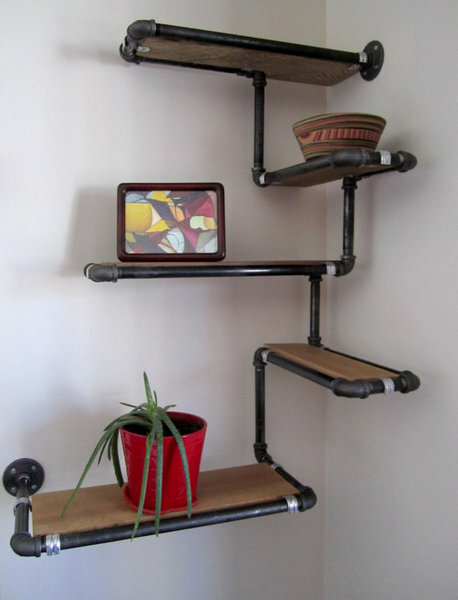 If you're still searching for ideas you can check out the pipe shelf section of our blog or our article, "10 DIY Industrial Shelf Ideas" for more inspiration. If you're ready to make the plunge into building your own industrial pipe shelf browse our variety of fittings that allow you to build almost anything you can imagination or contact us for free design assistance in helping you create your project. We are dedicated to helping you create the best project you can and will work with you to come up with a solution that will work for you.